During the past decade, we used to poke fun at bulky, headache-inducing CRT monitors. Now, frameless PC monitors are making regular LCD monitors look clunky and obsolete. As the technology improves, specifications are becoming increasingly less relevant and aesthetics are gaining on importance. We want monitors that perform great and look even better, and we want them without having to pay too much money. 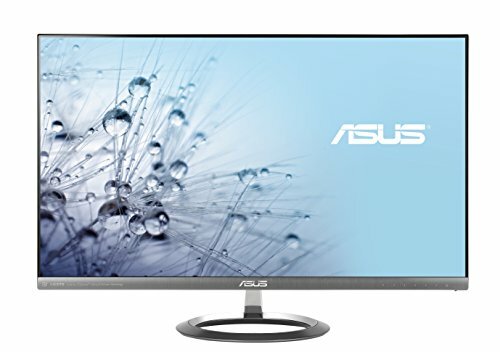 The good news is that multiple leading manufacturers offer stunning bezel-less monitors for working or gaming computers in a variety of sizes and with different features. 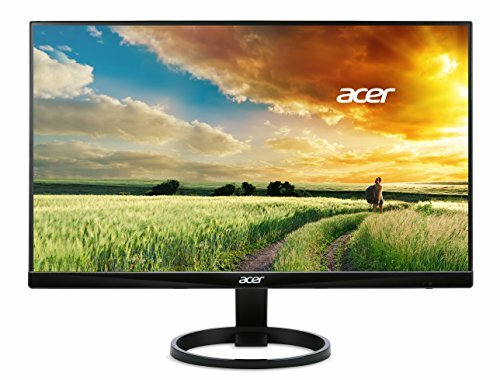 However, with so many different types of frameless thin bezel PC monitors out on the market, it can be difficult to choose the perfect one for your desktop setup. That’s why we constructed this list — to show you seven of the best choices you have on the market today. Let’s dive right in, shall we? One of our favorite options comes from LG. Offering up what LG is calling an “Infinity Display”, this monitor will bring you some industry leading screen clarity. Whether you’re watching movies, doing some gaming, or are trying to do some design work, the LG 24MP88HV-S is one of the best that you can buy today. The monitor comes with a pretty hefty stand, so you shouldn’t have trouble keeping it propped up on most types of desks. On top of that, there are a handful of different ports around the back for various display options. There are actually two HDMI ports, as well as a VGA port. Unfortunately, there’s no USB to be seen. Next up, we’re looking at HP’s own “Business Monitor.” This one comes with a number of advantages. First, with being 27-inches in size, and paired with the thin bezels, you get a ton of real estate. That means that you get an ultra-wide viewing experience that enables you to do no more. It’s also extremely ideal for multi-monitor set-ups, essentially giving you a seamless transition between all of your monitors. Now, this is a Full HD display, bringing you beautiful visuals and clear images that will be unforgettable. It’s the perfect choice for entertainment, design work, and more. Like the option from LG, it comes with a number of different ports for hooking up a display — there are actually two HDMI ports, a VGA port, and even an audio-out port. This option from HP has a number of different internal settings that you can adjust to get the exact screen quality that you’re looking for out of the monitor. Dell’s Ultrasharp monitors come with what’s perhaps the best monitor stand ever made. The rugged stand can pivot, tilt, and swivel, allowing you to position the monitor in the most ergonomic way possible to minimize neck strain and promote better posture for long-term comfort. The stand also doubles as a wireless charger for Qi- or PMA-ready devices. Just place your smartphone or smartwatch on the stand and watch the battery indicator reach 100 percent. The U2417HJ is versatile not only in terms of its adjustability, but also when it comes to connectivity. You can connect the monitor to your PC either using DisplayPort or HDMI. Four USB 3.0 connectors hidden under a cover located on the back of the monitor help you reduce cable clutter when connecting peripherals, and audio line out ports are there for your headphones or speakers. At 24-inches, the Dell Ultrasharp U2417HJ is perfect for people who need plenty of desktop real-estate without the extra eyestrain of larger monitors. With the resolution of 1920 x 1080 pixels at 60 Hz, even budget GPUs, such as the NVIDIA 1050 or AMD RX460, can drive the Ultrasharp U2417HJ with ease. 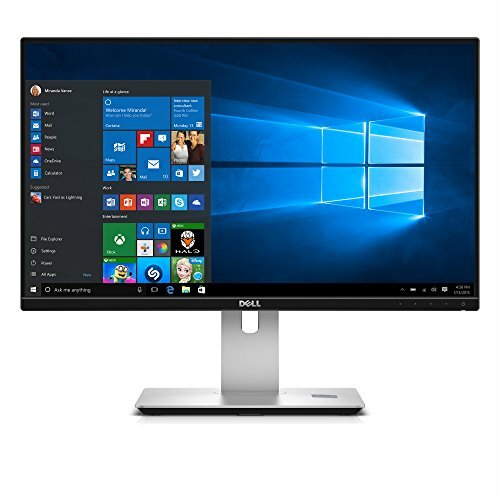 Dell guarantees that every monitor has a 96 percent sRGB coverage at deltaE <4, ensuring satisfactory color accuracy even for photo or video editing. Dell promises a free panel replacement during the Limited Hardware Warranty period even if only one bright pixel is found, and their Advanced Exchange Service is applicable for three years. 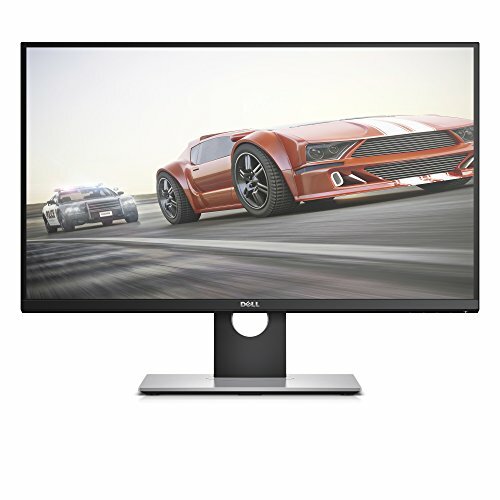 Since there’s currently no affordable or, at least, semi-affordable graphics card that can run modern video games at 60 frames per second at the 4K resolution, gaming monitors with the QHD resolution are highly sought-after, and the S2716DG from Dell answers this demand. This 27-inch gaming monitor supports NVIDIA’s G-Sync technology to eliminate screen tearing and the need for software deterrents. At 144 Hz, which is the maximum refresh rate of this monitor, motion becomes much more fluid and life-like. Couple this with an extremely rapid 1ms panel response time, and you’re looking at a monitor that even professional gamers could happily rely on. The S2761DG comes with the same excellent stand as the Ultrasharp U2414HJ. Connectivity options are also similar. This time, you’re looking at four USB downstream ports, a speaker line-out, a DisplayPort, and an HDMI connector. Included in the box is a DisplayPort cable and a USB upstream cable. The display panel has a special anti-glare coating, which makes it more readable under direct sunlight. The U2716DG displays colors uniformly across the entire screen, and its wide viewing angles make local multiplayer with one or two friends that much more enjoyable. A lot of thought went into the design of this monitor. The MX27AQ from Asus is a beautiful bezel-less 27-incher with the QHD resolution and very wide viewing angles. Compared to a Full HD display, you can enjoy up to 77 percent more onscreen space and 25 percent sharper images. The AH-IPS panel can reproduces 100 percent of the sRGB color space and give a 100,000,000:1 contrast ratio. Needless to say that pictures and video footage look absolutely amazing. But it’s not just the content on the screen that looks great—the monitor itself is a work of art. At its thinnest point, the MX27AQ is just 1.25cm thin, and the bezel has a thickness of just 0.1cm. No wonder that the monitor received and iF award for its design. Most people see built-in monitor speakers as the last option how to enjoy music and audio in general, but take our word on it: once you listen to the two 3W stereo speakers co-designed with Bang & Olufsen, a Danish consumer electronics company that designs and manufactures audio products, you may discover that you don’t need dedicated speakers at all. Another thing that won’t need are eye drops because the MX27AQ features the TÜV Rheinland-certified ASUS Flicker-Free technology designed to reduce flicker for a comfortable viewing experience. 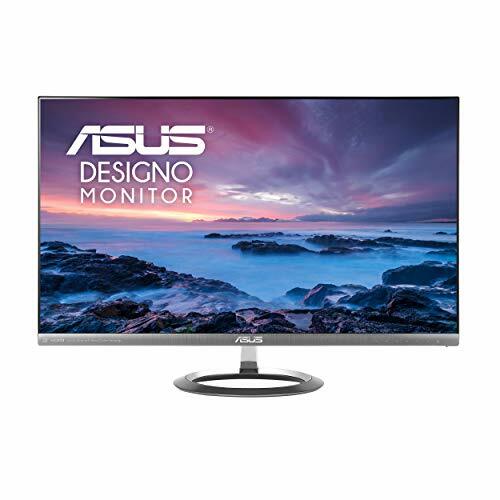 The monitor also comes with the TÜV Rheinland-certified ASUS Blue Light Filter to protect you from harmful blue light. Together, these two technologies help you work and play longer without any discomfort. 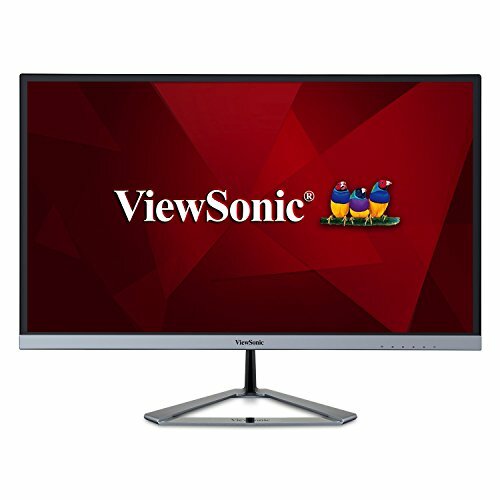 If you’re looking for a modern, frameless PC monitor that’s both affordable and high-performing, the ViewSonic VX2376-SMHD is as good as it gets. The combination of the Full HD resolution and the size of 23-inches makes for excellent pixel-by-pixel image performance. You can choose from five display presets to quickly adjust the gamma curve, color temperature, contrast, and brightness of the display to suit your needs. Thanks to the SuperClear IPS panel technology, you can look at the monitor from any angle, and the picture will still look great. We appreciate the inclusion of a VGA input for compatibility with older computers. Owners of newer computers can take advantage of both DisplayPort and HDMI connectivity for superior image quality. The VX2376-SMHD features nearly edge-to-edge screen and a sleek, triangular stand, which keeps the monitor securely supported and does a good job of reducing unwanted vibrations. 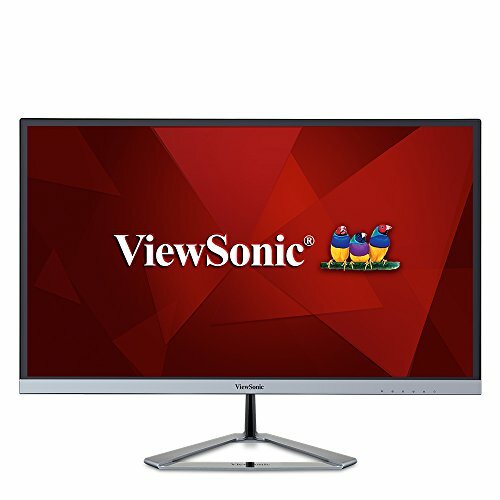 For a little over $150, the ViewSonic VX2376-SMHD delivers an excellent bang for your buck, making it a solid investment for any home or office. This Amazon best-seller goes to show how affordable thin monitors have become over the years. The R240HY features what Acer calls Zero Frame Design, which simply means that the display borders are virtually non-existent. Having a monitor with extra thin bezels is not only aesthetically pleasing, but also very practical because you can place two side-by-side and enjoy a unique visual experience without any distracting boundaries. The R240HY is 23.8-inches large with the Full HD resolution. Acer has included their flicker-less technology and a blue light filter to protect your eyes from eyestrain. The only thing we don’t like about this monitor is the stand, which provides only limited adjustability, allowing you to tilt it from -5° to 15°. As you can see, there are plenty of excellent thin bezel monitors on the market today. They always sit at a little more expensive than your standard monitor, but that’s because thin bezel monitors offer more real estate, as well as more clarity. Depending on the game or movie you’re watching, it can really immerse you in the world, too. What’s your favorite thin bezel monitor? Sound off in the comments section below.